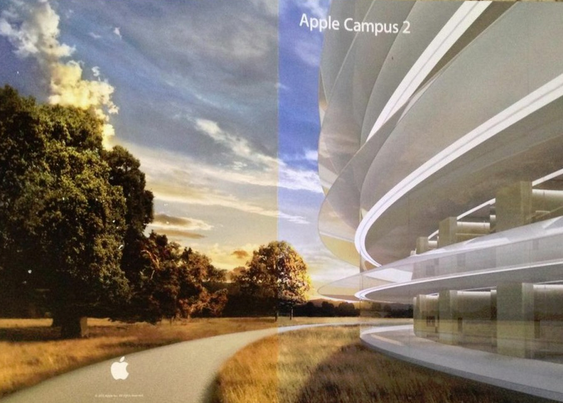 Apple’s new campus could be cooler and closer than we ever thought. Apple has sent out a pamphlet to residents of Cupertino asking them to support the new construction in the area. They will be calling it Apple Campus 2 and it will be a circular shaped building that could house up to 13,000 Apple employees. The new building will have an interior area which will be a garden type interior with natural trees and gardens as they stand now. They won’t be demolishing the environment (only partially) to build the massive structure. Many people think that the town will approve the building, considering a large portion of the town either works for Apple directly or has friends and family that work for the company, it’s unlikely that will not be approved.